Apple's online store is down in Russia, yet another sign that the ruble's downward spiral has far-reaching effects. The company said that due to "extreme fluctuations" in the value of the currency, the online store is unavailable while Apple (AAPL) reviews its product pricing. 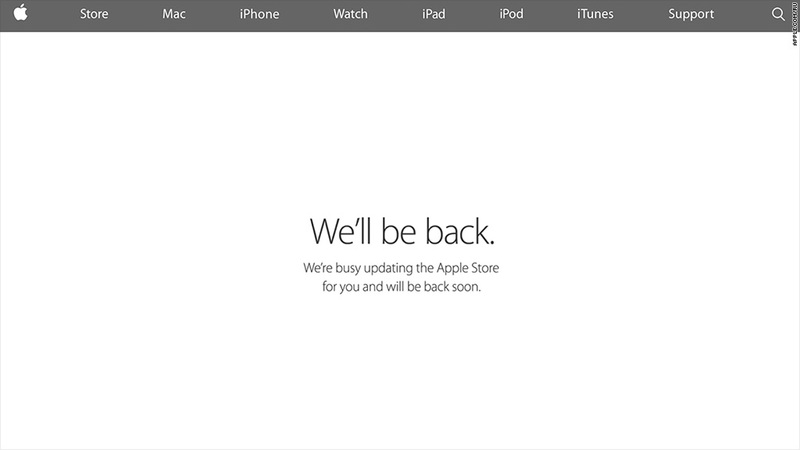 The Russian site reads: "We're busy updating the Apple Store for you and we'll be back soon." The Bank of Russia's dramatic overnight interest rate hike aimed at stalling the ruble's deep dive had little impact on Tuesday. It was down again, by about 3%, after falling about 12% on Monday. The currency has now lost about half of its value against the U.S. dollar this year. The problem stems form low oil prices -- half of the government's revenue comes from oil and gas exports -- and Western sanctions over the crisis in Ukraine.